My life is dedicated to the birth of a new humanity. That birth is now in progress. We are all involved in it. The new humanity is being born inside us. We are awakening to new perceptions and new values. These are leading us to new goals. Our new perceptions are that the Universe is alive, wise, and compassionate. It is a friendly place, not the violent, merciless place that we have often made our small part of it. Our new values are the values of the soul — harmony, cooperation, sharing, and reverence for Life. Our new goals are authentic power – the alignment of the personality with the soul — and a planet without conflict. Your soul is much more than your personality. It is the essence of who you are. It existed before you were born, and it will exist after you die. We are beginning to understand that all that we choose, create, and experience is part of a learning process. That process serves the evolution of our souls. This is the heart of the new perception that is transforming the human experience. This is multisensory perception, the ability to see and experience far beyond the limitations of the five senses. Our species is becoming multisensory very fast. This site serves the needs of the emerging multisensory humanity – the thirst for harmony, cooperation, sharing, and reverence for Life. Current social structures cannot meet these needs, and so, they are dissolving. We are creating their replacements – seven billion of us, together. In other words, this web site is dedicated to spiritual growth and social transformation. It is to help us connect and share. A team of heart-connected volunteers worked hard to put this first version of it online in time for Oprah Winfrey’s shows featuring these ideas, and me, Gary Zukav. Much more is coming. Gatherings and conferences will be listed here. Innovative ways to access information and each other are being planned. In time, online interactions will be hosted here. Please make yourself at home, take what you need, and — as we become equipped for it — share what you have. 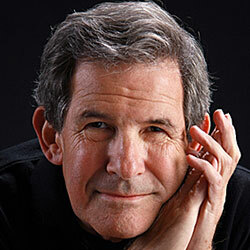 To read more about Gary Zukav, visit his personal site. We have much to do together. Let us do it in wisdom, joy, and love. Let us make this the human experience.